An important part of Marine Engine is Cylinder Head which is maintained and reconditioned using Cylinder Head Repairing for its proper function. Our specialization is to dismantle and assemble the cylinder head, removing and fitting of valve seat, to remove and fit the injector tube, removal and fitting of valve guide bush, hydro testing, pneumatic testing, reconditioning of valve / valve seat through Cylinder Head Reconditioning. 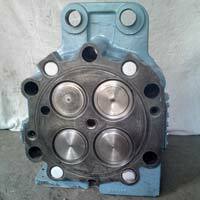 Overhauling of valve rotator, lapping of valve / valve seat, core door grinding, Ultra Sonography test, DP test, etc. 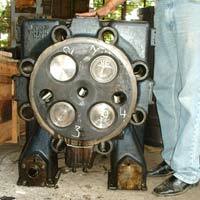 are also carried out by us as per requirements.